Recognised cruising and touring company, APT, has just released an inspiring list of 16 travel experiences not to be missed this year. From black bears and wild moose in British Columbia and challenging yourself physically in the Kimberley, to visiting the stunning Summer Palace in Beijing and exclusive access to the Steve Irwin Wildlife Reserve, here are 16 everlasting moments with APT. Keen winemakers can learn from the masters in France's Beaujolais region while sampling delicious drops of vino. On an APT Wine Series River Cruise. Cross one off your bucket list with an incredible safari in East Africa's largest game park, Serengeti National Park. Keep your eyes peeled for elephants, black rhinos, lions and more unique African wildlife. A leisurely cruise down Canada's Blue River serves up the region's best wildlife spotting including black bears, eagles, moose and salmon. British Columbia's ruggedly handsome wilderness. Join celebrity chef Luke Nguyen in Vietnam for an immersive journey through the country's cuisine and traditions. With a floating restaurant and personally-hosted tours, Luke not only dishes up sensational local fare, but also invaluable insider knowledge. On an APT journey through Vietnam, including a cruise along the Mekong aboard the refurbished RV AmaLotus. 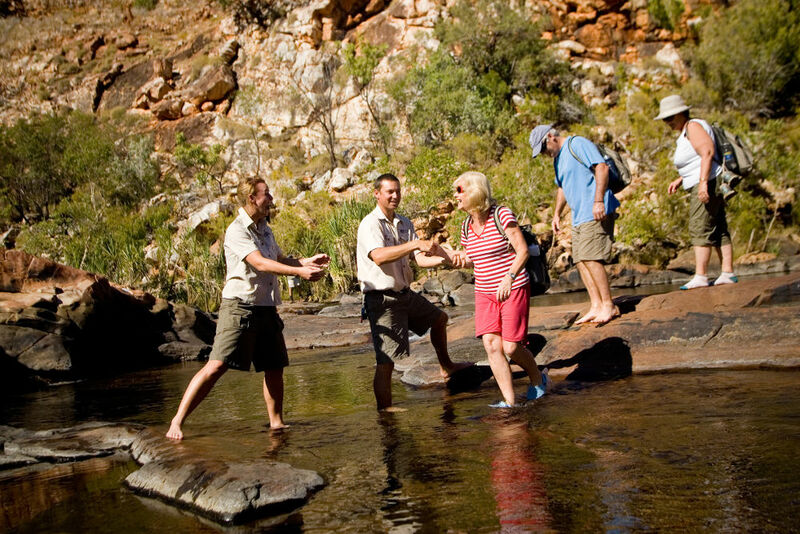 One of the best natural pools in the world, Zebedee Springs sounds exotic, but it's actually found right in our backyard. El Questro Wilderness Park in the Kimberley, Western Australia. Combine luxury with outdoor adventure at the world's driest desert. Fortunately, you won't need to venture far to find your oasis. The opulent hotel comes with six swimming pools that blend seamlessly with the surrounding environment. Hotel Alto Atacama Desert Lodge and Spa, Atacama Desert, Chile. Physically demanding, the Kimberley Challenge is a hike that leaves finishers feeling elated and rewards with some of Australia's most arresting scenery including mountain ranges, gorges, and cascading waterfalls feeding into refreshing rock pools. This unbeaten track leads you into the ancient Myanmar city of Bagan where sacred temples and unforgettable archaeological sites await. River cruise through Myanmer on board luxury ship RV Samatha. A true multicultural hub, New Orleans treats its visitors to authentic Southern food and lifestyle, while throwing in its French, Spanish and African traditions. Kotor Bay in Montenegro opens up in all its glory from the slopes of St Johns Hill during this exclusive journey. On a small-ship coastal cruise in the Gulf of Kotor in the Adriatic. A traditional vessel takes you to the shores of China's mesmerising royal palace complex, deeply immersing you in its history and beauty. All APT tours to Beijing’s Summer Palace, China. The sound and light display at Niagara Falls is a sight to hold onto forever. The booming sounds of thunder intermingle with magnificent colours as you watch from the Illumination Tower. Stretching for more than 200 kilometres, Sognefjord is Norway's longest and deepest fjord, with an untamed beauty so typical for the region. It's also surrounded by three national parks. Aboard a small-ship coastal cruise through the Norweigian Fjords. The Bay of Islands, comprised of 144 islands, can be explored on a sailing ship or catamaran. Spot dolphins, venture to Cape Brett and visit the world-famous Hole in the Rock. Pleasure your nose and tongue with a visit to Bridestowe Lavender Estate where the scent of lavender is everywhere, even in the lavender-enhanced fare. The Steve Irwin Wildlife Reserve, open only for special visits, contains some of Australia's most eccentric wildlife. APT grants you behind-the-scenes access to all 133,546 hectares of the private parkland near Cape York. With APT’s 11-day Cooktown to Cape York tour in 2016.